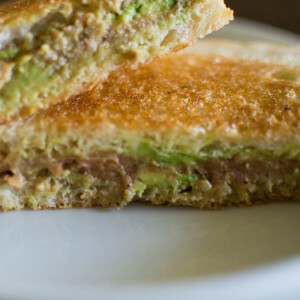 Today’s post combines 3 of my favorite foods into one tasty sandwich. This sandwich is sort of like a torta—a traditional Mexican sandwich served on big pillowy rolls like bolillo. Torta de aguacate is my go-to choice when out to eat. That’s right. 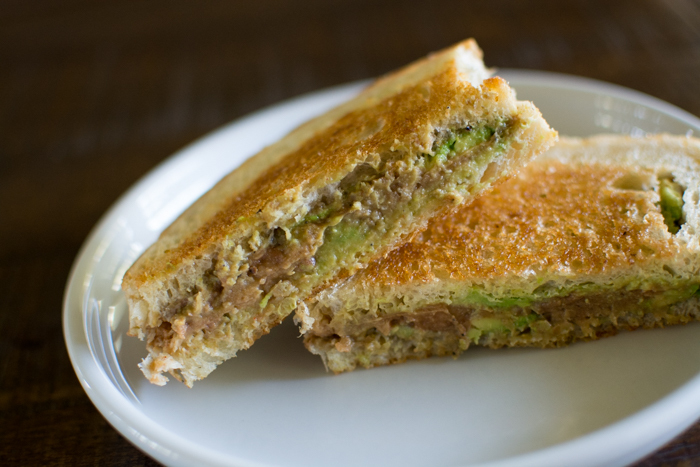 An avocado sandwich. They are so large that you need two hands to get a hold of it. 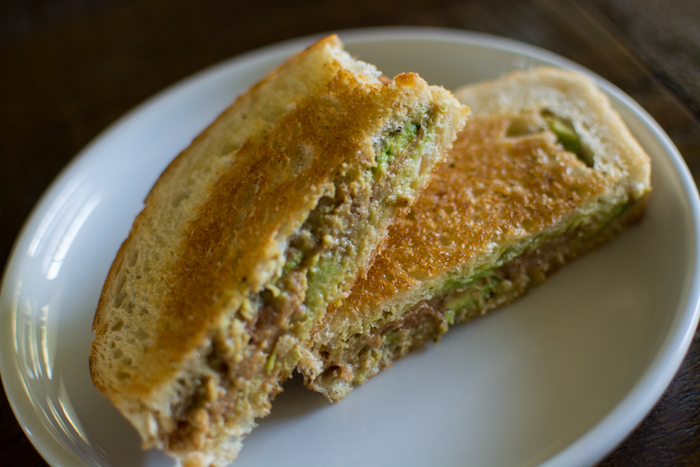 A humongous sandwich stuffed with avocado, refried beans, and grilled onions and peppers. And cheese, though you can order without. 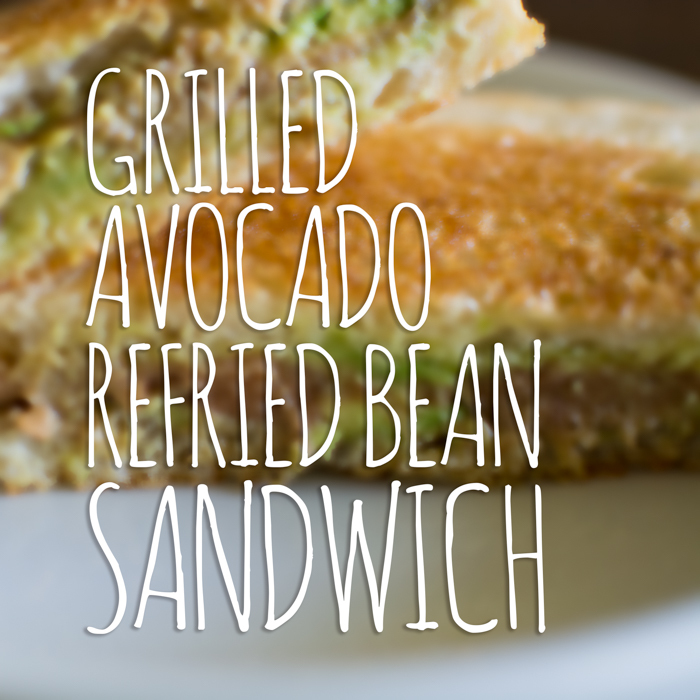 Our simplified version uses slices of bread, avocado, and refried beans. Simple and beyond tasty. Local peeps, I used Moscow Food Co-op’s salted French bread—a delicious French bread with a salted crust. 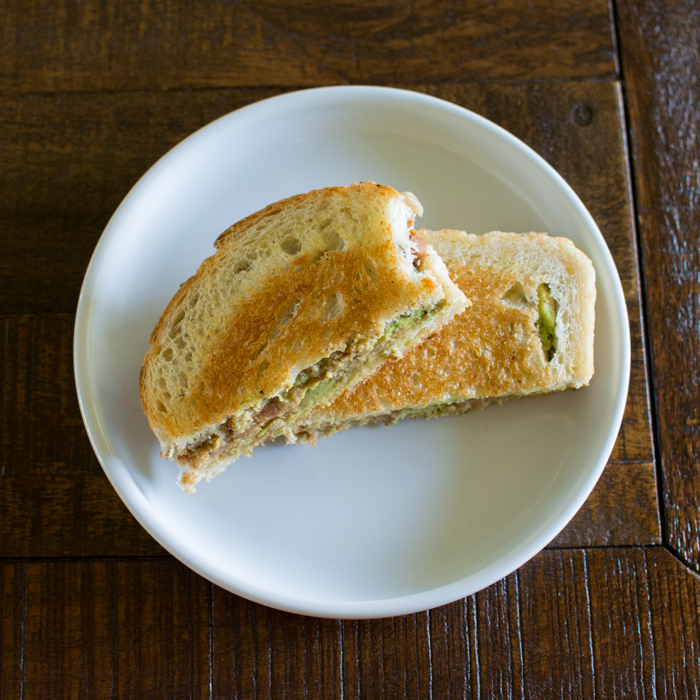 Though any sandwich bread will do we know that rustic breads turn good sandwiches into heavenly ones. Have salsa? Serve some alongside and dip as you eat. It will be like eating a plate of nachos. Preheat a non-stick skillet on medium heat for a few minutes. While the skillet is pre-heating, spread Earth Balance/Melt on one side of each slice of bread. Spread the refried beans over the opposite side of each bread slice. When skillet is warm, place the Earth Balance side of the bread down, top with slices of avocado, sprinkle with salt and pepper, and top with remaining slice of bread—refried bean side in, Earth Balance side out. Cook 3-4 minutes or until well browned, flip and cook another 2-3 minutes.